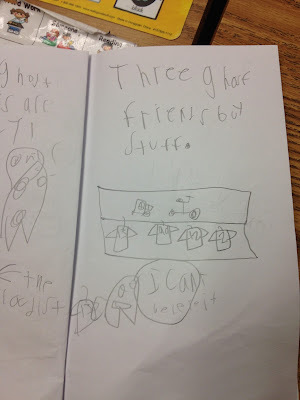 I visited a first grade classroom today and three boys were eager to share their own THREE GHOST FRIENDS stories with me. They were well-written, fabulously illustrated, and they were full fun "talking bubbles!" Thank you for sharing them with me. I snapped a photo of each. A mash-up of THREE GHOST FRIENDS and Doreen Cronin's Click, Clack, Boo!. 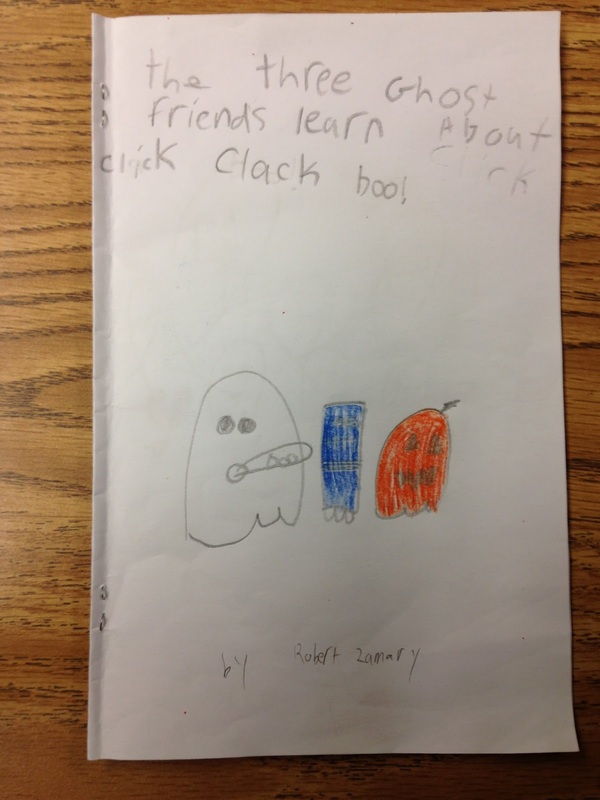 This was my favorite page from THREE GHOST FRIENDS GO TO WAL-MART. On this page, one ghost friend can't believe that he is buying a new football jersey! 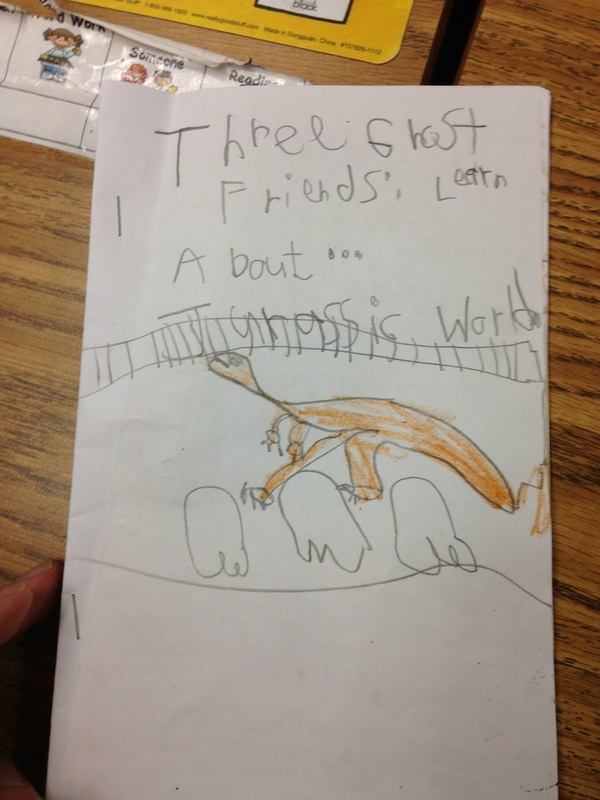 I was highly impressed with the illustrations in THREE GHOST FRIENDS: LEARN ABOUT JURASSIC WORLD!